arena multiplayer at first I thought a no sprint playlist might be optimal but hear me out. I pretty sure the new spartan abilities (save -Yoinking!- spartan charge) would be GENERALLY accepted in a halo game if they werent accompanied by sprint it would feel more competitive more strategic and would also still be recognizable to the fine tuned experience we got in halo 5. Warzone and customs would be a whole other beast entirely retaining ALL the features that made halo 5 successful would keep warzone great and would also allow more options for custom games, for those people that actually wanted to play in a sprint arena type setting they could actually fire up the in game custom game lobby adjust the filter and be good to go! lets face it, sprint has NO place in competitve halo and to argue that it does would just be absurd. this would allow arena maps to continue to be designed the PROPER way and please the vets and basically everyone whos willing to give it a chance and you wouldnt lose much of your sprint loving audience at all because there would still be sprint in the game it would just take a backseat! OH MY GOD! SHUT UP! When is someone going to have an original argument for or against sprint?? Why is the OPTION to sprint so upsetting to you people?? you don't have to use it. When you purists start whining about sprint and the other abilities, you just come across as old guys afraid of change. Evolve or get left behind. I'm really getting sick of all these threads. If you're so disgusted with Halo and the direction it's going, stop playing it. Seriously. Stop buying it. Stop playing. Stop coming to the forums posting the same nonsense over and over. The best way to get your point across would be to round up and organize the rest of the purists and boycott the game. You must've missed it last week when Frank (ya know, one of the guys who made the game) talked about the sales of H5. It's doing just fine. Hmm, I can get Halo 5 25-35$ or less, all of its DLC are free, shotty or not, it is free. Worth a try. Now the real question is, what is the population like. Putting a classic game mode is the developers admitting there stuff does haven't the magic that the previous guys did. It's a tough decision to make, but one I think 343i needs to make in order, at least, preserve the legacy of Halo for future titles. I dont think it necessarily means that "it doesnt have the magic" more that a significant number of players really want it in. They did it in H4. He said it shipped 5 million in 3 months. Hardly impressive to Halo's standards and does not detract from my point. I disagree. I see the opposite. I see it as the developers acknowledging that some people still at least want the option to play the old way just for fun and a way to attract the old fans. If you can get the old fans to buy the game for that gametype. Then it is at least possible they may try the other game types as well. But if that gametype is not there, then there is a lot less chance of the old school fan not buying the game at all. More content is almost always better than less content. Especially when its a variety of content. Halo is still Halo with sprint... one movement mechanic doesn't define an entire game. I think people are delusional if they think removing this one mechanic will make Halo as popular as it once was. But this is a staple of the community, the game is changing and you can't clamor to the past. I can pull at least one of these kind of sentiments in almost every related thread to anything that talks about Halo 5's new mechanics compared to its previous installments. To constantly revert back and say, oh well here's that classic style back, is flip flopping that doesn't belong in the Halo franchise. They need to pick one direction and make sure that it's a good one, so they can focus on improving, not give out two servings of the same game. Either stick with the new layout or go back to the old style. 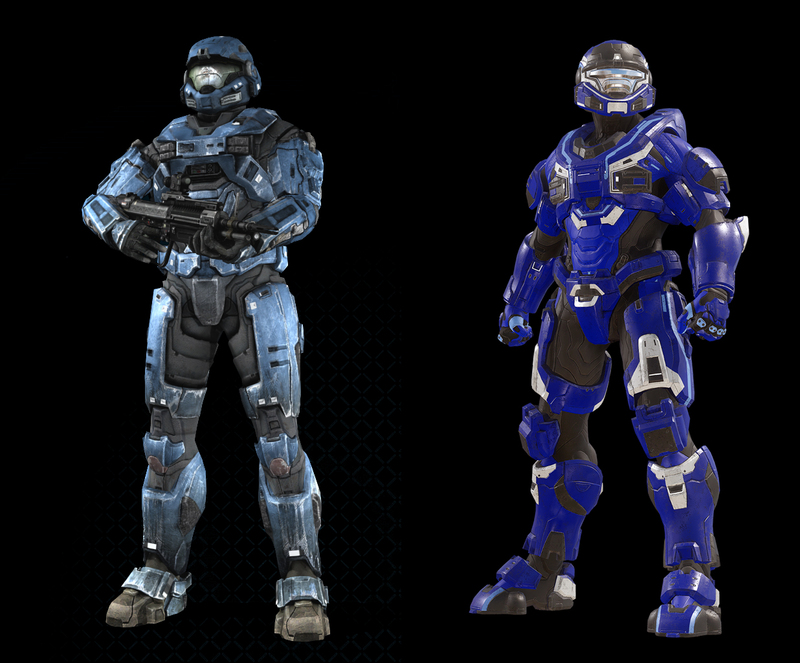 I'd say Halo 4 was a mixture of all Bungie Halos and 343i's own ideas. That didn't work, so lets either do Bungie's way or 343i's way. I still don't get the hate for sprint. It is so trivial. "sprint allows players to run away" My answer to that is so what? Of all things that can be wrong with a game. Sprint should be the least of your concerns. how about disconnect from the server? that's a real issue. EVERY SINGLE TIMEI start up Halo 5 I get "REQs not available" message. It does not matter what internet I'm on. IT Does it EVERY SINGLE TIME. I have to go and "Test Multiplayer Connection" in the xbox settings. Once I do It then immediately works. That's a real problem. Horrible team balancing in match making. That's a REAL problem. Organized parties playing randoms. THATS a real problem. Sprint? that's not a problem. No, sprint is still a problem, one that we've been dealing with for the better part of a decade. If you're truly curious as to why sprint is looked down on, I'll explain if you'd like. I won't argue, but if you ask questions I'll inform you of the answers. Better yet, maybe visit the Team Beyond forums, because many of the more skilled players frequent there and know the franchise's gameplay inside and out and could probably explain it better than most people here. Though just the same as here, you're best of asking questions to become informed rather than arguing why one side is right or wrong because they're probably fed up with arguments like that. Many of them would likely be fine with answering the questions you have, possibly in great detail. You heard it here first, Warzone item server disconnects are more important than the actual arena experience. How this applies to Halo. We can agree to disagree. I see having a single "Halo Classic" gametype no different than having the gametype Action Sack. It would just be something else to play that's different to the rest of all the other gametypes in the game. Action Sack at least in prior games has all kinds of unique stuff that is not in any other gametype like almost constant thrusters. Which is incredibly fun if you have never played it. Do you really think that sprint is what's getting rid of fans?! Really?! You've got to be kidding me... One game mechanic? 50% maybe 80% of the population. Um, no. So far H5 sold less than ODST did. Perspective, ODST sold 2.5M copies in under 2 weeks and this is published data , whereas were relying on one comment by Frank in NeoG, unless they publish the sales data I'd be suspect to anything 343 "claims". how do you know it has sold less than ODST did? Frankie could've just as easily said nothing or, if he was gonna lie, he probably wouldn't have decided to give us a number that could easily be criticized. Why Does anyone care for sprint being in or out? Honestly is matters not, keeping it does not change a thing about Halo, it's not like in a war you'd be 'mildly running' through an area to escape grenades, you'd be sprinting for your life, why should you care so much? I really don't think sprint by itself would be a big deal. I think the balanced guns along with sprint is what really makes Halo 5 play completely different from the original trilogy. In the original trilogy, a lot of emphasis was put on your utility. If you were skilled with your utility, it didn't matter what gun your opponent had (unless it was one of the power weapons), you could have a chance to win the firefight. In Halo 5, with every gun having it's own niche, it becomes more of a game of equipping yourself with the best loadout, rather than getting really good with aiming your utility. It completely changes what is rewarded in terms of skill. Instead of one teammate grabbing a power weapon and the rest holding a strong position on the map, it has become a race to the SMG or Storm Rifles (just using these as examples to help make my point) because they are the easiest to use, as long as you are in range. Not to mention with the AR that is now a formidable weapon, unlike it was in the original trilogy, it's my opinion that superior skill with precision weapons is rewarded less in this game. Why are Spartans, in enclosed areas when an enemy could always be around the corner (as is the situation with every Arena map), ever putting their gun down to sprint? It makes no sense and they could easily be killed because of it. I wanna feel like a Spartan and I can't feel like a Spartan if I can do stupid things like that. If it doesn't matter then the devs shouldn't be wasting time or resources on something that doesn't matter. OP, it's 2016. In 2016, players expect devs to not care about what's good for the game. Sad that is has to be like that. That is one of the stranger arguments for removing sprint i have yet to read. Question op, I can understand the arguement of sprint in multiplayer, but how exactly would you say it hurts the campaign? Which is based on lore mind you and generally won't tick people off with changing mechanics unless it completely comprises the game. I don't see to many people say how it ruins the campaign but I'd loved to be indulged, I already understand the arguement for and vs sprint in the multiplayer so I won't argue that point.